Each player has two character cards, one of which represents his true identity and the other is only there to add confusion. By asking clever questions and drawing the right conclusions, each player tries to make correct suspicions before the other players. Who has the most points at the end of the game wins. Wooolf!! 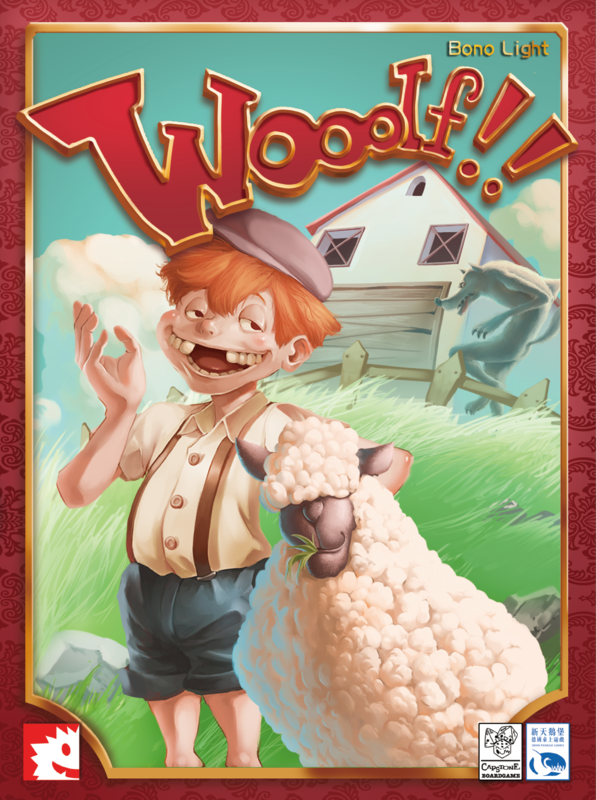 is a clever and fast playing deduction game for 4 to 8 player, ages 10 and up, designed by Bono Light and beautifully illustrated by Tommy Ng Lee. Playing time: approx. 30 minutes. Wooolf!! is available from the Smiling Monster Shop.